Blackwood Home Improvements are dedicated to helping people transform their home into a place that reflects their unique character and provides a welcome sanctuary for relaxation and family life. We have been established for over 10 years and are based in Southend-on-Sea. We offer a friendly and courteous relationship with all clients and aim to complete the work quickly, responsibly and cleanly. We care about your home and maintain high standards to achieve the best results for you. We specialise in painting and decorating and bathroom fitting services. Please contact us with any questions you may have or to arrange an appointment. "Would recommend to a friend and family. Would definitely use again." "Paul did an excellent job of gutting and installing a new bathroom for us. The work took longer than the initial estimate but he put in extra shifts to ensure the work was done with minimal fuss. Paul was adamant that he didn't want to rush the project and whilst we had a number of unforseen issues he tackled these with the professionalism, attention to detail and the skill that you would expect. 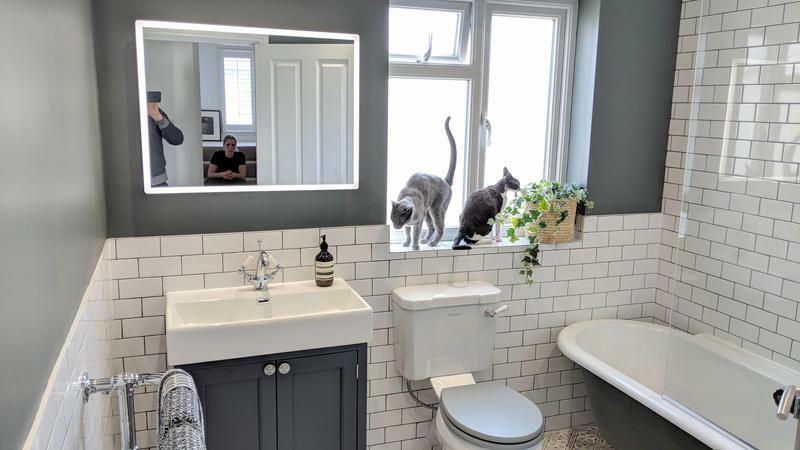 An extremely friendly and considerate chap, he was respectful and clean with regards to our property, and flexible when it came to our cats. We will definitely be using him again for future work and the price for the job was incredibly reasonable. Highly recommended." "Fantastic conversion from an old dated, tired bathroom to a beautiful and relaxing bathroom with all mod cons. We're delighted!"